HOUSES OF GOD—Cardinal Dolan prays the Rosary Oct. 6 during the archdiocesan pilgrimage to the Basilica of the National Shrine of the Immaculate Conception in Washington, D.C. HOUSES OF GOD—The cardinal delivers the homily at the Guardian Mass from the pulpit of St. Patrick’s Cathedral Oct. 1. While we Catholics believe that a church building is certainly not The Church, we still take the building very seriously. Why? Because the visible church structure is a mirror of The Church. The Church is a mystery; its reality is so dazzling we can’t take it all in at once. So, we search for metaphors, and find one in a church building, however simple. The first was our own St. Patrick’s Cathedral, which, last Friday, October 5, celebrated 139 years since its dedication in 1879. The readings from the Bible at the Liturgy of the Word for that Mass taught us a lot. Isaiah foresaw a new temple where all the nations would come to worship. Might I dare propose that our majestic cathedral on Fifth Avenue would prompt the prophet to say, “I told you so!” as daily thousands of people from all over the world enter the doors of this house of worship. I watch them, hearing languages I recognize and those I do not. They may enter as curious tourists, to escape the heat or cold; but soon I see them transformed as they look up and around with awe, as minds and hearts sense the beyond, feel the transcendent, and wonder about the divine. Before they depart, I observe them bow their heads, whisper a prayer, or light a candle. They leave a tad closer to God; they go out, no longer a tired tourist but an inspired pilgrim. My brothers and sisters of the Archdiocese of New York, and members of the wider community we cherish as our temporary earthly home, be proud of your cathedral! It is the home of our supernatural family, The Church, where God is our Father, Jesus our older brother (and Lord and Savior! ), the Holy Spirit our family bond, Mary our Mother, St. Patrick our patron, the saints our relatives—and we brothers and sisters, the “living stones” of The Church! Thank you for your heroic generosity in repairing and restoring this house of God. Cardinal Egan started it, you finished it. 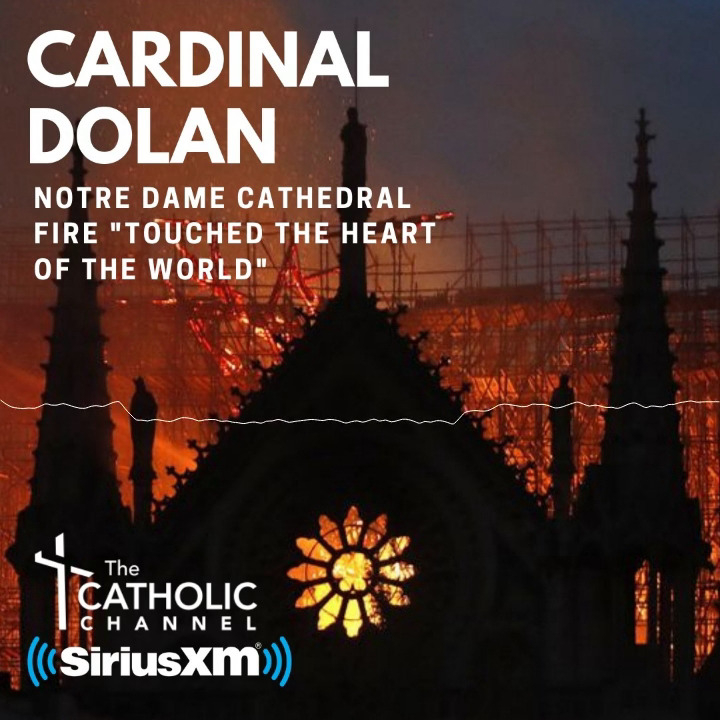 With part of the archdiocesan portion of Renew and Rebuild, our current capital campaign now close to its goal (78% stays in each parish, 22% to the wider archdiocese for the seminary, charity, education, poor parishes, and the cathedral) we will pay off the $180 million bill for the massive repair, $140 million already raised by so many of you in the Cathedral Restoration. The second church building I visited last Saturday. Every other year, during October—the month dedicated to Our Lady of the Rosary—I invite folks to join me in a pilgrimage to The Basilica of the National Shrine of the Immaculate Conception in a corner of the beautiful campus of our Catholic University of America in Northeast Washington, D.C.
A genuine pilgrimage entails hardship, and it was not easy at all for the over three hundred of us to get up very early, drive four-and-a-half hours, and then pray, go to confession, hear God’s Word, say the rosary, celebrate Mass—then to return home weary! Yet, it was worth it! We did it for Jesus, His blessed Mother, the patroness of our country, for His Church, and for our own interior renewal. This shrine is Mary’s house, so we were at home, with family. She carried within her the Savior of the world, God the Son, Jesus; her shrine in D.C. holds within its glistening walls the same Christ, vividly present in the Holy Eucharist; in God’s Word; in the faith and devotion of us, His disciples; and we left in union with Mary, sensing that, like her, the very presence of Our Lord was renewed in our hearts. Thank you, again! Remember Mothers’ Day, a year-and-a-half ago? I asked for a second collection in every parish (something I don’t like doing! ), and you came through, allowing this archdiocese to donate $500,000 to the continued renewal of this masterpiece.